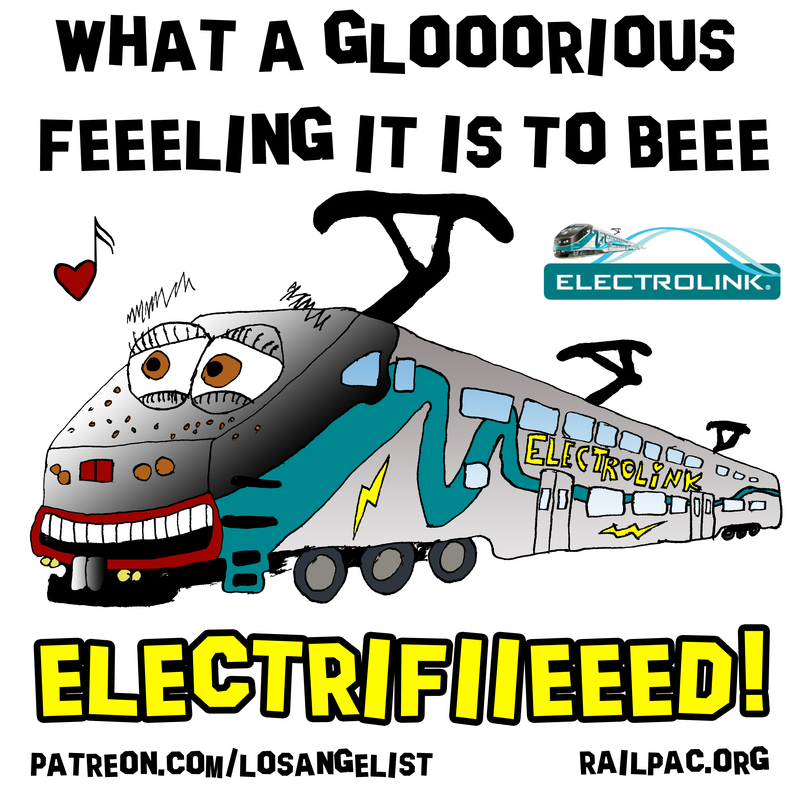 Funding for Metrolink regional rail electrification (#Electrolink for short) is going to be on the ballot in 2020 in Los Angeles, Riverside, San Bernardino and Orange Counties. And we only need 55% of the vote – so long as we do it in accordance with the recent state supreme court ruling reducing the threshold for citizen-sponsored referendums and the like. Our meeting with former Mayor of Santa Monica Denny Zane and the wonderful staff over at Move LA – the team probably as responsible as any for Los Angeles County’s previous $120 Billion transit investment, Measure M – went very well. Move LA’s 2020 ballot measure is going to mean more Metrolink – so much more Metrolink. We’re going to use this opportunity to to turn all 500+ miles into Electrolink – a modern, punctual, frequent electric passenger rail service similar to Europe and Asia’s – dramatically improving passenger experience and eliminating local air pollution. Much more to come on this and the numerous other exciting passenger rail developments we’ve been covering, once RailPAC President Paul Dyson has returned from his brief trip to Canada and we’ve had an opportunity to go over everything that’s happened in the few days he’s been out of town. Could LA’s Original Blue Line Trains Be Saved From the Scrapheap? 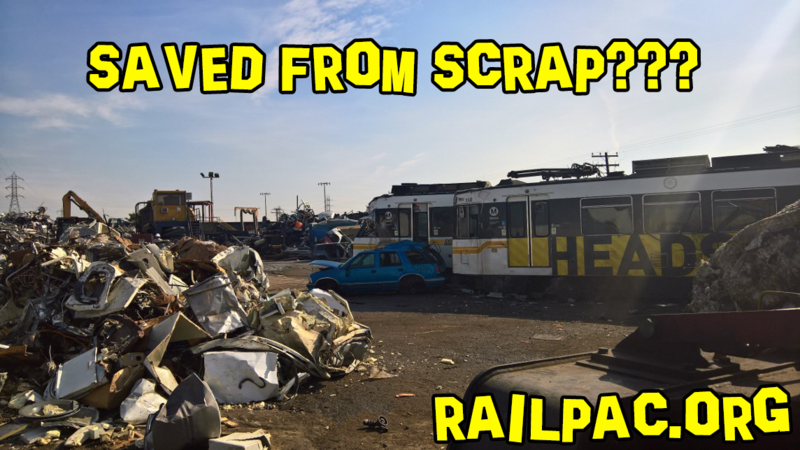 RailPAC has just received an exciting tip this morning; We may be able to save the original Metro blue line fleet from the scrapyard after all! Photographs courtesy of Cesar Estrada. 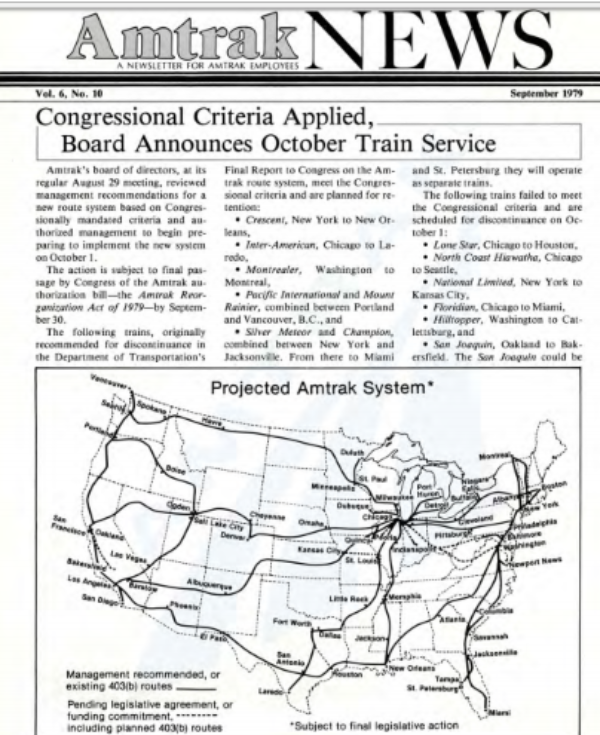 This story and map of Amtrak in 1979 looks like the good old days today. Long portrayed as the problem, the Long Distance trains are central to the health of Rail Passenger service. The Long Distance trains are the best generators of revenue for Amtrak. Cutting Long Distance trains doesn’t save money, it causes Amtrak’s revenues to go down with little impact on reducing its costs. The White House budget, released Monday, proposes that “States begin to share the operating subsidy costs of Long Distance routes with the Federal Government.” It suggests cutting the federal subsidy for Amtrak in half, from $1.4 billion to $738 million. That would save the feds about $6.3 billion this decade, according to calculations from the Wharton School of Business. The only problem? Many states, already strapped for cash, are unlikely to come up with the needed funding. State and local governments already account for 77 percent of public infrastructure spending in the U.S., according to the Economic Policy Institute. And more than half of states have faced budget shortfalls during the last two years, according to the Center on Budget and Policy Priorities. It is hard to believe that the Trump Administration is following in the footsteps of the Carter Administration. In 1979, in an attempt to “save” money on Amtrak, the Carter Administration demanded that Amtrak eliminate the trains that were “losing” the most money. In the process of doing so, congressional offices got massive amounts of mail from their constituents opposing the elimination of trains in their districts. At times when there is talk of cutting Amtrak service, mail opposing this to congressional offices is often second only to letters about Social Security. After much noise, 5 trains were eliminated, 4 of which were Long Distance trains: the National Limited, Texas Eagle, Floridian and the tri-weekly North Coast Hiawatha. What was the end result of this? Amtrak losses went up, not down. Why was that? At the heart of this was the fact that the Long Distance trains didn’t cost as much to operate as Amtrak’s accounting claimed. The reason Amtrak’s losses increased was because by getting rid of these Long Distance trains, Amtrak lost the revenues these trains brought in while saving very little money by getting rid of them. This has been repeated every time Amtrak has cut back Long Distance service, no savings and higher not lower losses. Amtrak President and CEO Richard Anderson told a House subcommittee on Thursday Amtrak is worried passengers are being put at risk by delays in installing the technology that’s designed to prevent crashes. “It is going to be very difficult for us to allow anybody to operate on the railroad we host without PTC,” Anderson said. NJ TRANSIT is far behind on meeting the Dec. 31 federal government deadline to have PTC built and operational. OKLAHOMA CITY (AP) — An Oklahoma transportation official says rail used by Amtrak for the Heartland Flyer that runs daily between Oklahoma City and Fort Worth, Texas, complies with a new speed control system. Amtrak President and CEO Richard Anderson has said it’s possible service will be suspended on tracks that don’t have what’s known as Positive Train Control — or PTC. Oklahoma Department of Transportation spokeswoman Kenna Mitchell told The Journal Record that ODOT has confirmed with Amtrak that the Heartland Flyer line is PTC-compliant. It is, in fact, the nation’s busiest transit route connecting New York City to the southern half of the east coast, and Gordon says it’s falling apart because of age and the saltwater drenching it took during Hurricane Sandy five years ago. He says since, Amtrak has had seven major electrical outages inside the North River Tunnel because of corroding wiring. The Federal Transit Administration’s (FTA) downgrading this week of two critical “Gateway” projects in the Northeast Corridor will further jeopardize the projects from receiving federal funding, supporters of the passenger-rail corridor said yesterday. In its annual funding recommendations report to Congress on the Capital Investment Grants (CIG) program, the FTA this week rated both the Hudson Tunnel and the Portal North Bridge replacement projects as “medium-low” in priority for federal grants. Medium-low is second-lowest rating on a five-point scale that helps determine whether federal funding is warranted. As one fortunate to experience our great passenger trains throughout the 1950s and 1960s, it is with much regret I hesitantly approach this topic. To best explain what is happening once again to threaten the American passenger train, I rely on the famous malapropisms by the great Yogi Berra* to emphasize how Amtrak’s Board of Directors and Executive Management has caused its degeneration to the extent that it is well beyond controlling its own destiny. A 26-year-old man was critically injured Sunday night in a shooting outside the Amtrak station in Emeryville, authorities said. The shooting occurred about 9:11 p.m. near the intersection of 59th and Horton streets, said Capt. Oliver Collins of the Emeryville Police Department. 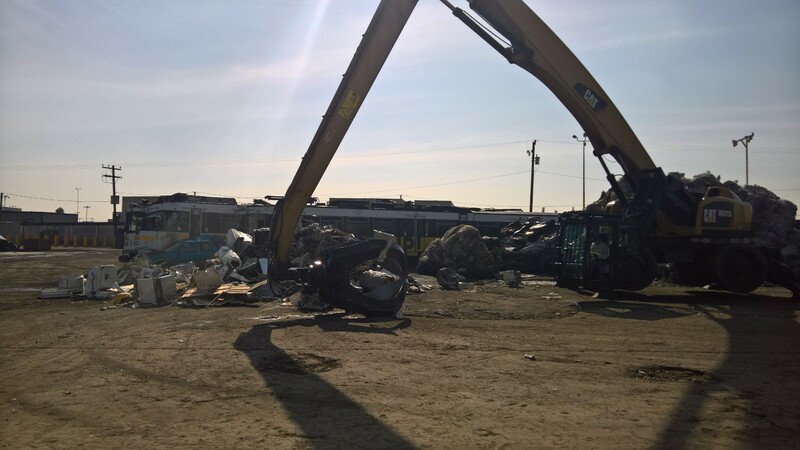 Authorities on Sunday had not determined what derailed a freight train late Saturday in Hughson, leaving behind a pile of wrecked boxcars and creating problems for drivers and Amtrak passengers through the next few days…. That will cause problems for Amtrak passenger trains that use the same railway. On Sunday, Amtrak officials issued a service alert for its passengers traveling through the San Joaquin Valley. Amtrak San Joaquin trains will not be able to operate between Merced and Stockton. Substitute transportation using chartered buses will move Amtrak passengers between Merced and Stockton. Amtrak passengers making their way to Michigan from Chicago’s Union Station complained Monday night of feeling sick when the train unexpectedly stopped twice along the way. Eastbound Wolverines #352 had weather-related problems near Michigan City and again near Niles, Michigan. Mimi Brun said she thought she might pass out, when the heat went out and the restrooms went out of order. Currently there are not that many convenient transportation options from Los Angeles to Coachella Valley other than Greyhound and Amtrak. Amtrak was intent on offering a day-time “Coachella Train” with a temporary station in Indio, CA for the popular festival last year, but it never materialized. Amtrak serves Palm Springs, 32 minutes away from the festival grounds, however the service arrives pastmidnight. ANAHEIM, Calif., Feb. 14, 2018 /PRNewswire/ — The Amtrak® Pacific Surfliner® has partnered with the Disneyland® Resort to offer special, limited-time savings for Southern California Residents on train travel and Disneyland® Resort theme park admission through May 21, 2018. The Pacific Surfliner brings nearly 3 million travelers annually to Southern California destinations including Anaheim, the gateway to the Happiest Place on Earth. Amtrak and Disneyland Resort are partnering for a limited promotion that offers discounted rail travel and park admission for Southern California residents. 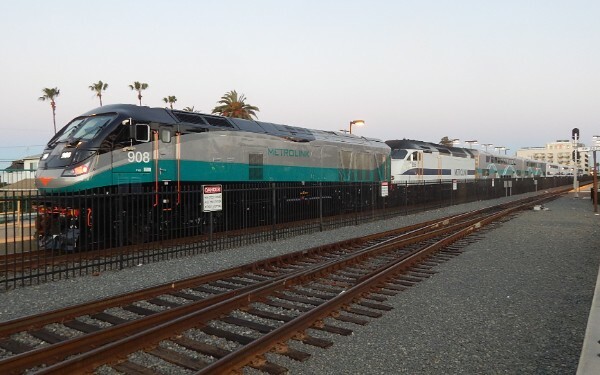 Through May 21, each child age 2-12 can board an Amtrak Pacific Surfliner train traveling to the Anaheim Regional Transportation Intermodal Center for free with the purchase of an adult ticket. The ART Route 15 connector bus will shuttle Amtrak passengers from the ARTIC to the theme park for free. This is one of the buses connecting Disneyland to the Anaheim Regional Transportation Intermodal Center (ARTIC). 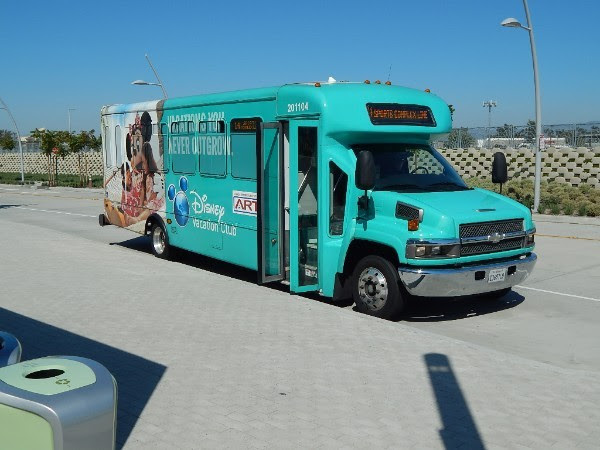 These buses are operated by Anaheim Resort Transit (ART) which run a dense level of bus service centered around Disneyland connecting to the hotels and other places of interest for visitors to Orange County. Photo by Noel T. Braymer. The high-speed rail vision is of Bay Area grandparents on family visits to Disneyland. The system would fail based only on those relatively infrequent end-to-end trips. The reason for building high-speed rail is to protect our Bay Area economy. Per Caltrans, 133,000 daily vehicle trips were averaged during 2016 peak months on Interstate 580 at Highway 205 headed into Silicon Valley. Highway 152 averaged 47,000 daily vehicles during peak months. Many fearsome 18-wheel trucks joined the vastly overcapacity daily migration connecting the Central Valley’s affordable housing to Silicon Valley’s irresistible job market. That trip (2-4 hours each direction) is dangerous, time consuming and emotionally debilitating. Burning $3-4 per gallon gasoline (more in the future) also depletes a family’s fiscal well-being and adds dramatically to climate change. The California High Speed Rail Authority will hold a meeting in Wasco on March 1 to provide an update on the project. The meeting will be held from 5-7 p.m. at the Wasco Veterans Hall, 1202 Poplar Ave. Officials involved in the project will discuss high-speed rail developments in the Wasco area and other parts of Kern County, such as design completion, right-of-way acquisition and employment opportunities. With large, expensive construction projects often comes critics calling these projects “boondoggles”. According to the book “Since Yesterday” by Fredrick Lewis Allen published in 1940 about the 1930’s; the term “boondoggle” came into common use by the critic’s of President Roosevelt’s construction projects during the Great Depression. Many of these “boondoggles” were for improved infrastructure. It is true that most large scale construction projects are very expensive and often go way over budget. The non-military project which cost the most in history and had the highest cost overruns was the railroad tunnel often called the Chunnel built under the Straits of Dover connecting Britain to France and the rest of Europe.Many would think the cost overruns for the Chunnel was typical poor government management. The only problem with that is the Chunnel was privately built and financed. This came at the insistence of then Conservative British Prime Minister Margaret Thatcher who came to power in 1979. Chinese workers are constructing an impressive railroad bridge in an area that has been considered a ‘no-go zone’ for bridge builders. The £1.2 billion Pingtan Strait Railroad Bridge spans across the extremely rough sea off the coast of south-east China, a region that has apparently seen the mysterious disappearances of many jets and boats and is dubbed the ‘Bermuda Triangle of Asia’. Chinese engineers, who started on the project in 2013, are confident that they could complete the colossal traffic link next year. And not only that, they have planned to run high-speed trains above the notoriously choppy waters. The Ministry of Railways is planning to announce 10,000 kilometres of new high-speed corridors in April 2018 for trains to run at speed of 200-250 kilometres per hour, the Times of India has reported. KUALA LUMPUR — Four European industrial heavyweights, including Siemens and Alstom, have formed a consortium with Malaysian engineering company George Kent to bid for the 350km high-speed rail line connecting Kuala Lumpur with Singapore. The group, which is the first to register its intention for Southeast Asia’s first cross-border HSR project, will likely face rival bidders from China and Japan. Europe’s rail giants have joined forces with a Malaysian firm to bid for a train project connecting Malaysia and Singapore. Together, they want to take on Asian rivals like China’s state-owned CRRC. he Cabinet of Ministers supports a decision to construct a high-speed railway connection with the Boryspil International Airport. Ukrainian Prime Minister Volodymyr Groysman informed this on Twitter. “The Government has endorsed the construction of a high-speed railway connection with the Boryspil airport. There is a real engineering decision that can be realized by the end of the year,” Groysman said. THE Province of Ontario has appointed former Canadian federal transport minister Mr David Collenette as chair of the Ontario High Speed Rail Planning Advisory board, which will oversee the development of plans for a high-speed line linking Toronto with Windsor. With mounting pressure to commit to a high-speed rail line between Dallas and Fort Worth, city officials said they are exploring forming a local government corporation with the other cities along the proposed route. Mayor Jeff Williams said the city is committed to high-speed rail, but he stopped short of agreeing to join a local transportation authority such as Dallas Area Rapid Transit or the Fort Worth Transportation Authority. The local government corporation would include Fort Worth, Dallas, Grand Prairie and Arlington. A new advocacy group launched today to push for the creation of a high-speed railway connecting Seattle, Tacoma, Portland, Spokane and Vancouver, B.C. The Pacific Northwest could use relief from interstate gridlock: Traffic on I-5 is brutal at almost any hour. The 170-mile trek between Portland and Seattle can take upwards of five hours, on a good day. Cascadia Rail hopes to change that. “Because our entire region is popular and globally competitive,” Cascadia Rail wrote in a Seattle Transit Blog post, “more is needed to support the growing population across the Cascadia region.” That population increase could be close to 10 million over the next 20 years, the group says. The Trump proposal doesn’t even include new funding. It calls for $200 billion in federal spending on infrastructure over ten years, but that would come from cuts to other programs, according to a White House official cited by Time. The administration plans to siphon resources from federal transit programs, which Trump singled out for cuts in his 2019 budget proposal, also released today. The budget calls for axing $3.7 billion for New Starts, the major source of federal funding for transit expansion projects. Why has car ownership been increasing so quickly? There are many reasons, but the UCLA study mentions one that has often escaped attention: the torrent of cheap and easy credit that has washed over car showrooms and used car lots in the years since the end of the Great Recession. It can be hard to remember now, but in the immediate wake of the Great Recession, the nation took several steps to get people back into showrooms again – steps that in the clarity of hindsight wound up reinforcing our dependence on cars. The 2009 Cash for Clunkers program incentivized customers to trade in their old cars in the hope that they would buy new ones. The Federal Reserve lowered interest rates to bargain-basement levels and through the magic of quantitative easing flooded the economy with money. From 2010 to 2017, downtown Seattle added 60,000 jobs. Over the same time period, the number of solo car commuters into the city’s central business district dropped by 4,500, or 9 percent, according to a new report from Commute Seattle. The city was able to absorb the employment boom without setting off a traffic explosion thanks mainly to a dramatic increase in transit ridership. Greenhouse-gas (GHG) emissions continue to drop in California even as the state grows its economy and population. Further declines in GHG emissions are expected to come from the state’s transportation sector, according to the California Energy Commission (CEC). In its latest tracking progress report on greenhouse gases, the CEC shows that the transportation sector directly accounts for 38% of GHG emissions in California. California law requires every city and county to develop a climate action plan, or CAP. These plans are supposed to map out specific steps that allow local governments to meet statewide greenhouse gas reduction targets. But in San Diego County, officials act like our region can escape the worst of climate change without doing our part. In 2014, car travel accounted for 45 percent of greenhouse gas emissions generated in San Diego County. It is therefore completely mystifying that the county’s CAP simply ignores the issues of land use planning and transportation. After sewing up its home German market within five years of its launch, Flixbus now aims to expand in the US, challenging Greyhound Lines, the national bus service launched in 1914 that services more than 18 million customers each year in North America. Flixbus’ founders and executives told Handelsblatt the company would initially offer bus service between Los Angeles as its main hub and Las Vegas, San Francisco and the Bay Area. Caltrain commuters can expect delays Wednesday morning as systemwide electrical issues have halted at least six trains, officials said. The delays started around 8:15 a.m., said Tasha Bartholomew, a spokeswoman for the transit agency. It was not clear what caused the glitch. BART, SamTrans and VTA are helping transport passengers, she said. At least six trains — four southbound and two northbound — are being held as officials address the issue. PORTLAND, Ore., Feb. 13, 2018 /PRNewswire/ — moovel North America, the leading provider of public transit mobile ticketing and fare validation solutions, today announced the launch of Caltrain Mobile, a mobile application designed to provide a more convenient and accessible ticketing solution for Caltrain, the commuter rail service along the San Francisco Peninsula and Santa Clara Valley. Powered by moovel, Caltrain Mobile gives Caltrain’s estimated 65,000 daily weekday riders an opportunity to easily purchase, store and access fares directly on their smartphones. SACRAMENTO, Calif.–(Business Wire)–ACEC California named the Pedestrian Underpass Extension at the Santa Clara Caltrain Station as its 2018 Golden State Award Winner for its innovative design features that significantly expanded pedestrian and cyclist access. Biggs Cardosa Associates, Inc. served as the prime consultant and structural engineer to the Santa Clara Valley Transportation Authority project. The Golden State Award is the highest honor ACEC California bestows as part of its Engineering Excellence Awards program. Construction work to improve safety at three Caltrain grade crossings at Whipple Avenue, Main Street and Broadway in Redwood City began this week, according to the transit agency. Crews are installing new pedestrian gate arms, new “KEEP CLEAR” markings to prevent vehicles from stopping on tracks, new guard rails and signs to channel pedestrians toward crosswalks. 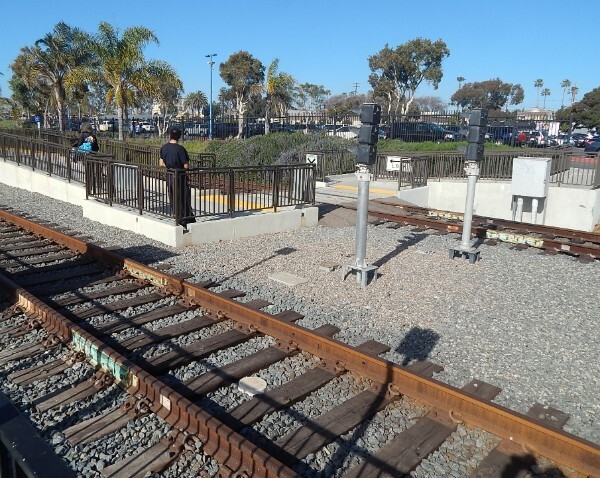 In addition, new road markers and bumps along the crosswalk will be installed so vehicles do not accidentally make a turn onto the tracks, according to Caltrain. A hot-air balloon was forced to make a sudden landing Sunday morning near the Sonoma County Airport SMART train station in Santa Rosa, coming down safely in the parking lot of the county’s Animal Services shelter. The balloon, carrying a basket of about a dozen people, flew low just to the north of the train station at about 10:10 a.m., said witness Sherrill Dunning-Riley, a SMART station representative. SAN FRANCISCO (KPIX 5) – Bay Area Rapid Transit stations in San Francisco and Oakland should be getting a lot cleaner. Four months after Supervisor Hillary Ronen personally started cleaning the 16th Street Mission station, BART said it will hire more than 20 janitors. Several new BART riders tell NBC Bay Area they think the system’s old parking machine technology needs an upgrade. The riders say the machines let them pay for parking spots that turned out to not be valid, and they ended up with citations. Each of the incidents took place at the Rockridge BART station in Oakland. 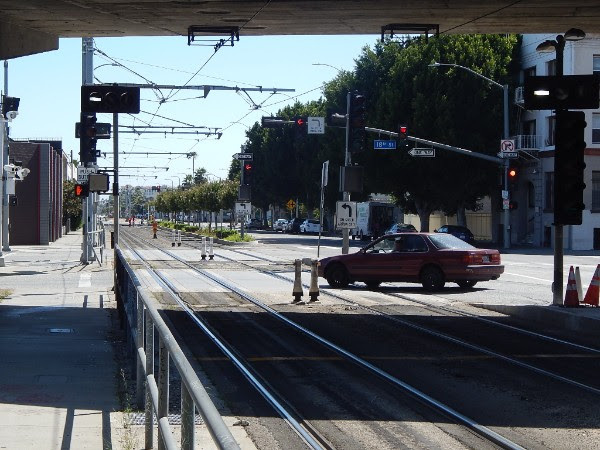 In the project’s 2015 Technical Refinement Study, Metro unveiled an array of potential alignments for the northern branch of the approximately 20-mile light rail line along Alameda Street and Santa Fe Avenue, all of which would have terminated at Los Angeles Union Station. Based on a staff report, Metro seems to have settled on a shared right-of-way with the existing Blue Line in WSAB’s approach to Downtown, but its end destination may not wind up being Union Station. She credited Brian Kelly of Caltrans, who ironically has just moved over to run the high-speed rail project, with getting a commitment from Amtrak to change one of its Pacific Surfliner slots to an earlier commuter-friendly time. They found a set of train cars in Michigan that was clean and relatively new, carried wifi, and had a good café car; new cars are on a long waitlist. They located an overnight spot for that train — harder than it sounds. Union Pacific (UP), whose West Coast leadership had changed, was “surprisingly cooperative,” Jackson said, as they worked out a way the early timing would not interfere with UP’s freight traffic. For the second time in two months, a state transportation board has faulted the public agency that oversees North Coast freight rail service for failing to present a detailed account of its finances or plans for future operations. Members and staff of the California Transportation Commission ripped a plan drafted by the North Coast Railroad Authority for failing to include enough material to make “informed decisions” on the debt-ridden 28-year-old local agency’s future. Metro is working to make the Blue Line faster and more reliable. One improvement already on the ground is a new crossing gate, which prevents cars from crashing into trains when illegally turning left from Flower Street onto the eastbound 10 Freeway. We need a National Railroad Passenger Corporation that is fully funded and provides a National Network! Amtrak serves many communities who have lost both interstate air and bus service. The reality is that the senior citizen population and the ADA population usually prefer to take trains because they are comfortable and ADA compliant. The train also represents a great way for college students and the military to travel at reasonable price. Killing our National Network/Long-Distance trains will eventually kill Amtrak as these trains feed the State supported corridors and provide a national system that offers the flexibility that our citizens want. Give Amtrak the funding it needs to operate a route system that is relevant, purchase new equipment to replace its aging fleet of cars and locomotives, and to have stations and maintenance facilities that are modern and functional. If Amtrak fails after that then hold it accountable. Amtrak has never received the funding from Congress it needs to be viable since its inception. It is a credit to the employees and managers that Amtrak has survived this long on starvation funding. When it comes to high speed passenger rail, conventional rail, and commuter and light rail, the US is worse than some third world countries! Wake up Congress, don’t give Amtrak a bare bones budget and then complain about the service! You can do better and so can Amtrak! 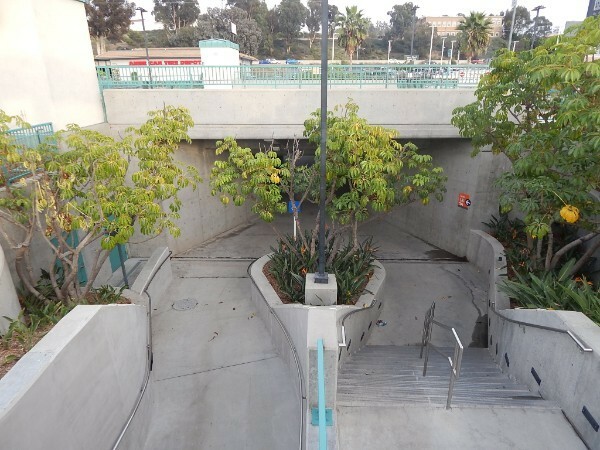 The long awaited rebuilding of the Van Nuys Platforms is now underway. Track 1 and the UP yard lead will be relocated in order to provide a proper platform, in place of the narrow emergency platform now on track 1. Next step will be to get double track on to Chatsworth, once the home owners allow ! I think its great that Metrolink would consider dedicated trains for Dodger stadium but what else is needed is service to and from the South Bay. I ride the Metrolink Orange Line to Angel and Dodger games from south Orange County and the bliss of not driving makes this pastime all the better. However, traveling to games from the South Bay is not practical on public transportation. The best scenario is taking the Green Line from north Redondo Beach, transferring at Willowbrook to the Blue Line, transfer again to the Red Line and finally to the Dodger Stadium bus. Its time to rethink the Harbor Extension for use by Metrolink to provide much needed service from the South Bay which is really a public transportation Island, with limited connections to the mainland. Block signalling out of service in the crash area? Especially where switches are involved I would expect the restricted speed rule would apply.. basically proceed thru the area at [depending on the RR 10-20 MPH] restricted speed prepared to stop within half the range of vision for [various items but in this case..] switch improperly lined. IF this applied and I’d expect it would, why was the crash so severe? Or didn’t they have such an order out?? Curious..maximum track speed and train speed permitted? Re: What does “suss out” mean? I assume this is about the link to the article in last week’s enewsletter” BART Managers Suss Out Long Term Plans at Annual Workshop Streetsblog San Francisco Feb 9, 2018. (slang, transitive) To come to understand (a person). We’ve sussed him out — he only drinks on Fridays and only in that bar in town. (slang, transitive) To manage to work (something) out, to determine (something). quotations ? We’ve sussed out how to open the lock. Save the Coast Starlight’s Pacific Parlour Cars! Please sign our petition to save the Coast Starlight’s Pacific Parlour Cars! Trains: What is the future of passenger rail in Kern County?